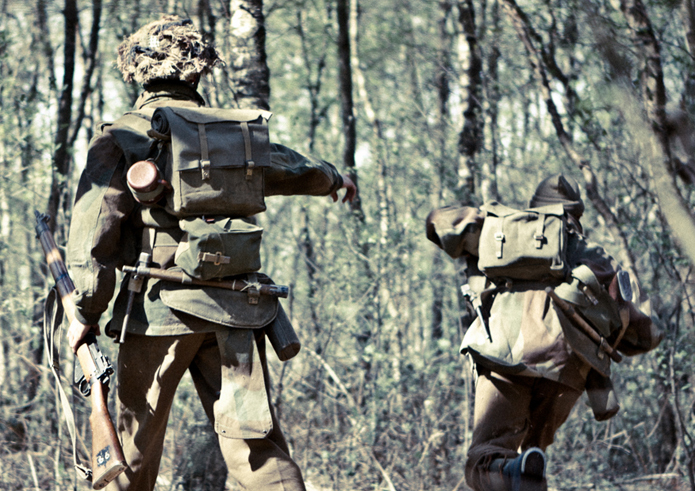 War Department is a Dutch Military Living History association dedicated to portray the lives of soldiers and military personnel in a credible and historical authentic way. We do this with an utmost respect for the fallen, the veterans, their families and units and regiments we portray. It is our mission to keep the memory alive of those who paid the highest price for our freedom. 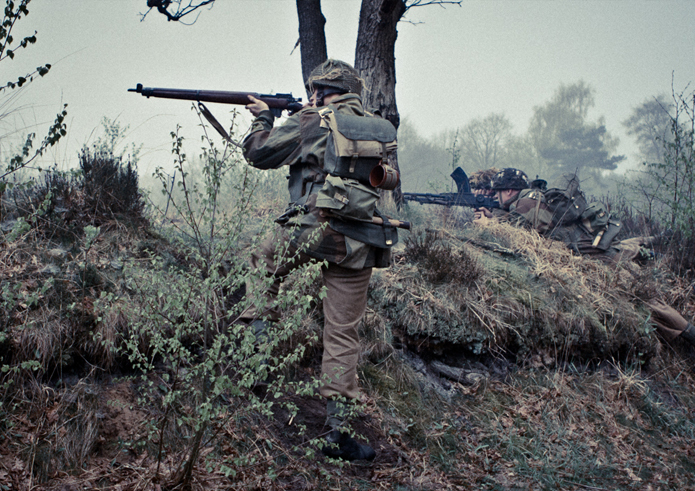 War Department portrays 12 Platoon, B Company, 1st Battalion the Border Regiment, one of 3 Infantry Battalions which formed the 1st Airlanding Brigade, part of the 1st British Airborne Division. 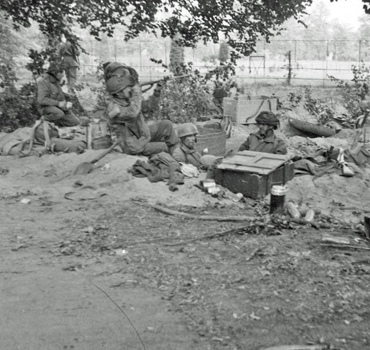 After deployment in Africa and Sicily the 1st Airborne Divisions` was tasked to capture and hold the bridges at Arnhem during Operation Market-Garden in September 1944. 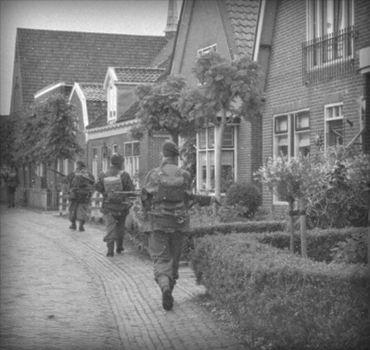 B Company fought in and around the small town of Oosterbeek. 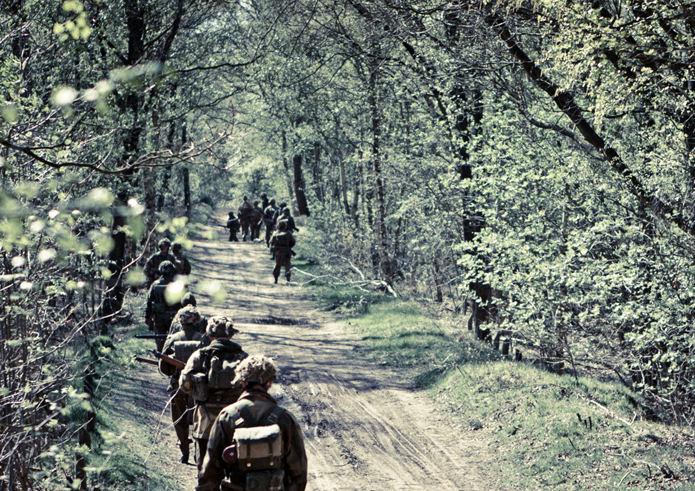 In the first phase of the battle it was tasked to block the main road Utrecht-Arnhem. 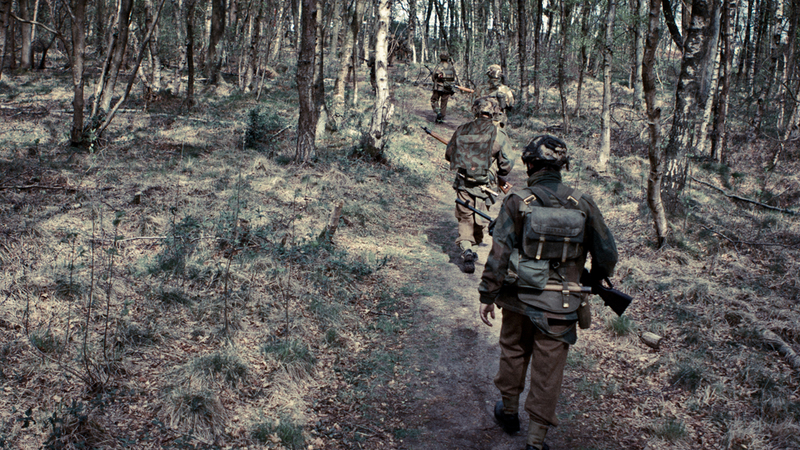 After that the company fought fiercely to defend the crucial Westerbouwing Heights at south-western edge of the Oosterbeek perimeter. 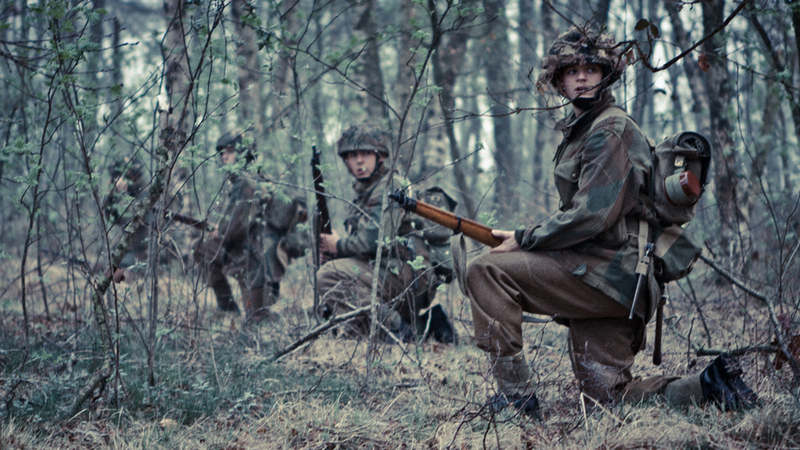 12 Platoon was an Infantry platoon led by a lieutenant and consisted of around 25 men all ranks. It came to battle by glider supported by the heavy weapons of S(for Support)-Company with their Anti-Tank guns, Vickers MMGs and 3 inch Mortars. 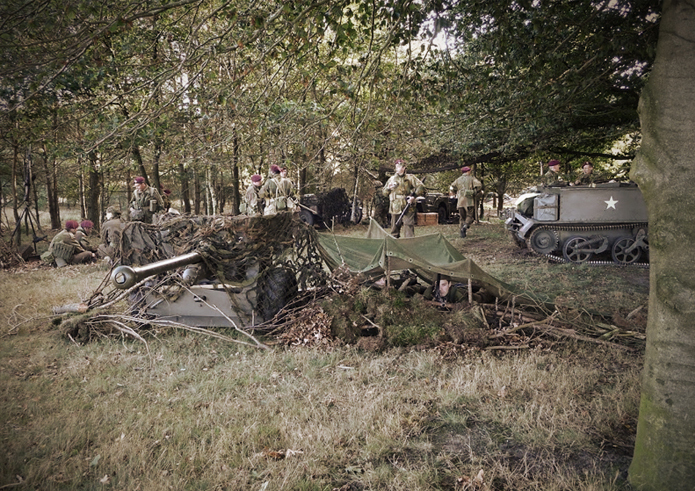 At the word ' display ' can you think of exhibiting vehicles, materials and weapons as used by the unit which we portray. We use as much original equipment as we can to build a relevant exhibition which forms, with clear explanation, a fun and educational picture.
' Display ' includes, for example a camouflaged machine gun setup, a Dressing station, tactical dugouts and the group of soldiers who wait at the airport on departure. 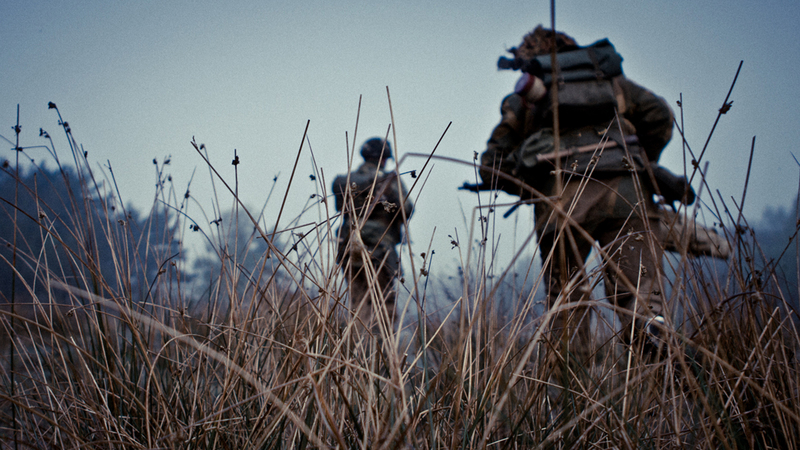 We can build a display on almost any situation and location, as long as it is related to the unit we portray. 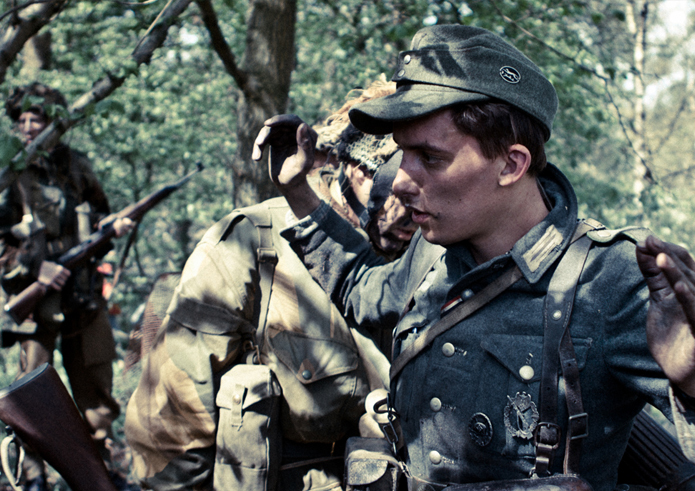 War Department gladly invites you to come and see our displays at one of the events we`re attending. See the calendar for an overview. 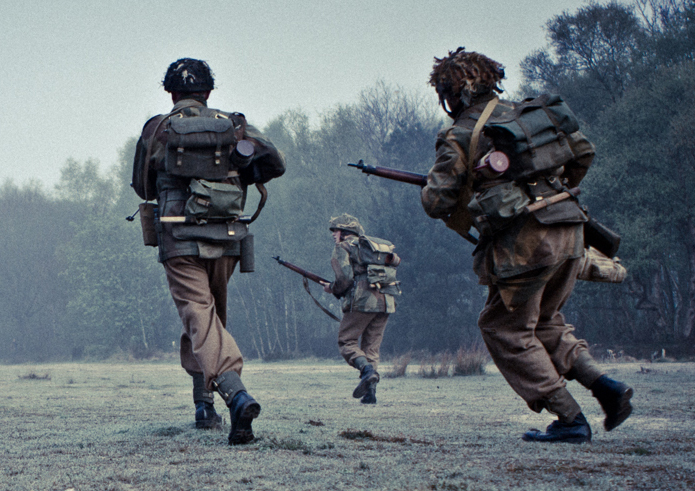 In everything we do in Living History remembrance has the highest priority. After all, if a great part of our brave liberators gave their life for our freedom, the least we can do is to commemorate them in our given freedom? Therefore we will remember those who got killed or got wounded in body or mind with greatest respect. Being part of Memorial gatherings and commemorations as Guard of Honour or just as members of the public is high on our priority lists. Most of the time we get invitations from local councils and committees to be part of the commemorations in the uniforms of those we thank and remember. Being there in Battle Dress often creates an extra dimension for the spectator, because it now becomes vividly realistic. As well as remembrance, tacticals form a great deal of our portrayal. When possible we use (former-) Army Training Areas and cooperate with other groups to rebuild a battle. 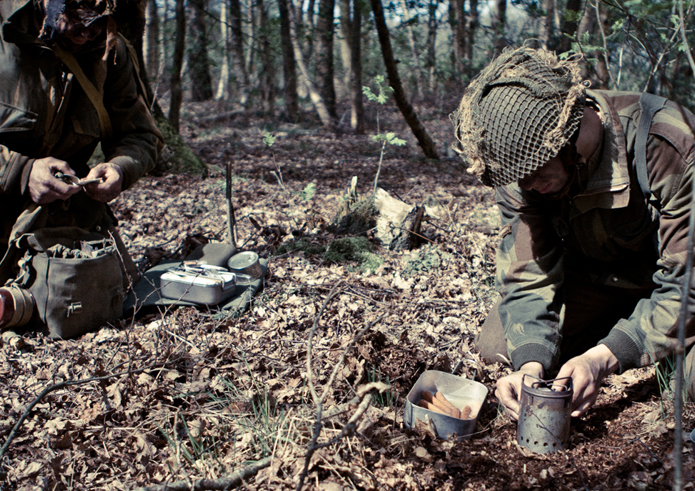 We`re not a para military organisation but if we portray anything we want to be as historically accurate as possible. 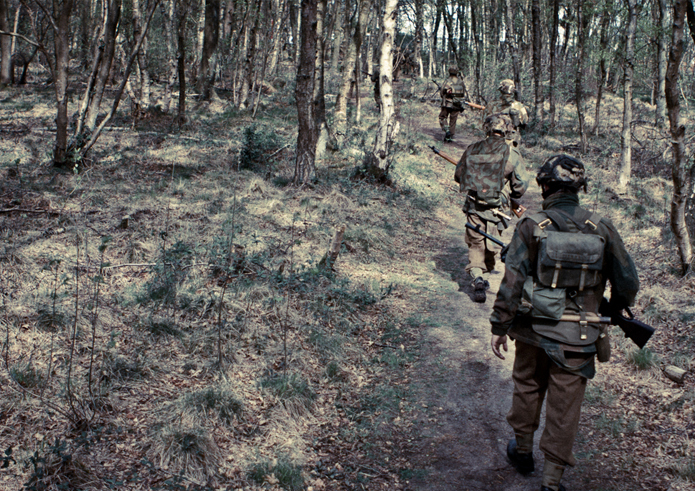 Therefore we use original army training pamphlets, handbooks and sometimes veterans accounts to train our group to a high level to be able to participate in those battles in a realistic manner. 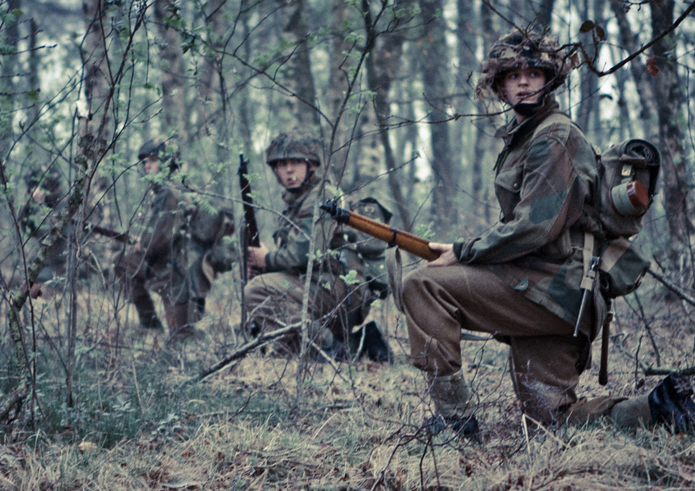 Shooting posture, platoon- and section formations and deployment in the field are some of the drills we practice to be able to show the audience how it could have been back in the days. BELOW IS A LIST OF EVENTS WERE WE ARE PARTICIPATING. 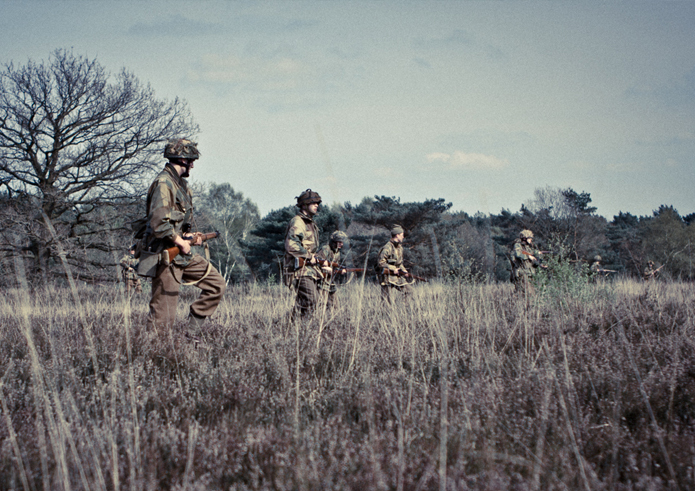 To prepare ourselves for the coming re-enactment season we organised a training event at an old Dutch military fortress. 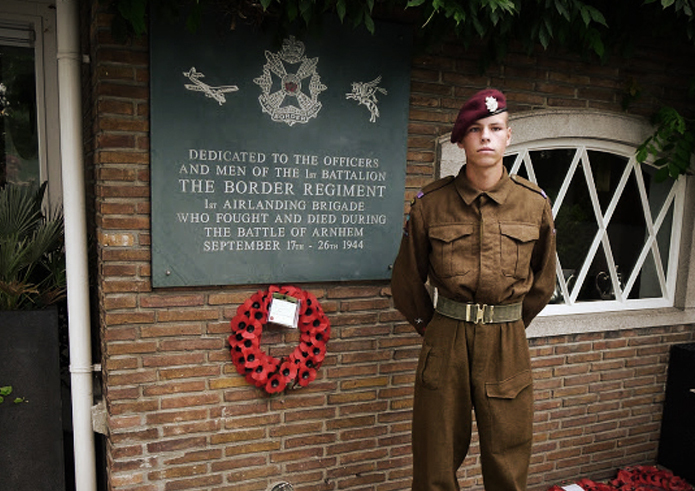 Since a few years the Royal British Legion Holland Branch organizes a Remembrance Service on the Sunday after 'Poppy Day', on the Airborne Cemetery in Oosterbeek. 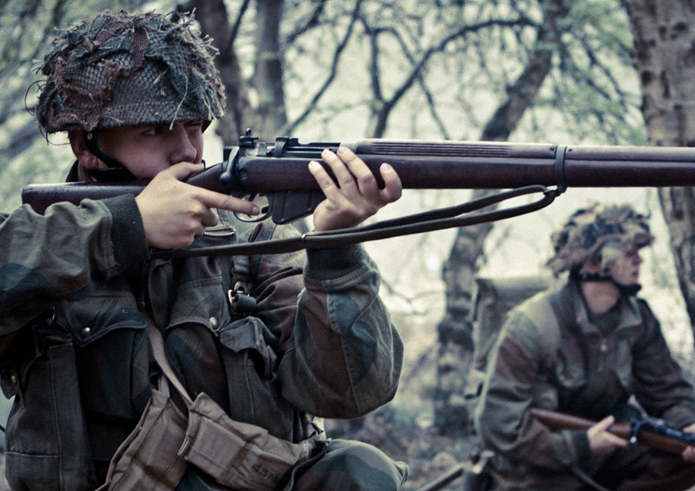 In September 2016 multiple international Living History groups joined forces to create a unique historic display at the Concerthall in Oosterbeek. Your message has been succesfully delivered.